Leave it to Kylie Jenner to keep our hearts racing with every post she shares on social media. This time around she dropped a major bomb and confirmed that the Kylie Cosmetics store is happening for real. This Kardashian-Jenner is following in her big sisters’ footsteps by launching her own retail store (because we all know that Dash changed our lives forever during the beginning seasons of Keeping Up With the Kardashians). The 19-year-old reality star is a busy bee this month. Just last week, the beauty mogul announced her Koko Collection with her big sister Khloé Kardashian. And now we’re dying at the thought of shopping her Kylie Cosmetics products in her new store. 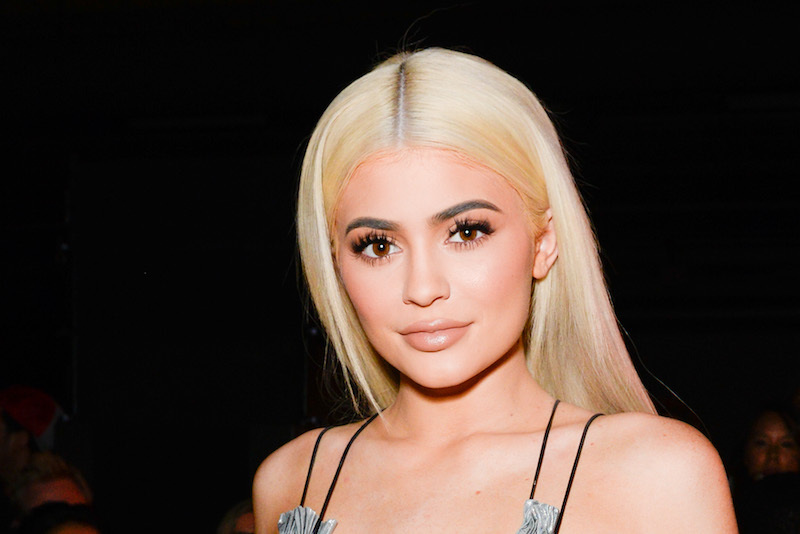 While Kylie’s store isn’t 100 percent finished and ready to go, she did give us a glimpse into the beautiful, big space on her Instagram account. From the two photos Kylie shared on her social media page, she confirmed she is definitely building something that is “100% Kylie” and we are so eager to see what her store is going to look like once it’s complete. She captioned her second post, “MY VISION. I can’t wait for you guys to see what goes on inside my mind & what I’ve been working on.” A closer look at the image reveals a laptop screen with an image displaying mockups of a makeup store. On another note, we couldn’t help but notice Kylie’s killer wardrobe as she makes girl boss decisions about her brand. She was wearing a classic grey tracksuit that celebs like Paris Hilton and JLO used to rock in the early 2000’s. Yes, the beauty maven can werk a black cap and comfy sweats. Trust us, she still manages to look flawless. It looks like we’re just gonna have to keep our eyes glued to Kylie’s social media in case she drops more hints.